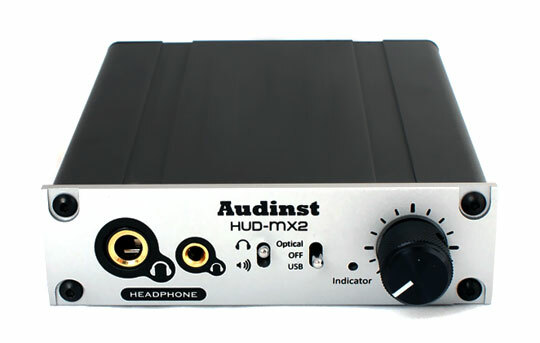 With the objective of developing a product that realizes the best hi-fi sound quality, enhances user convenience, has diversified connectivity, and has most functionality relative to the price while not emphasizing on a fancy exterior and demanding specifications, the development of the HUD-mx2 has been completed after a long period of time, adopting a number of high-quality components and utilizing our company’s extraordinary PCB design technology. 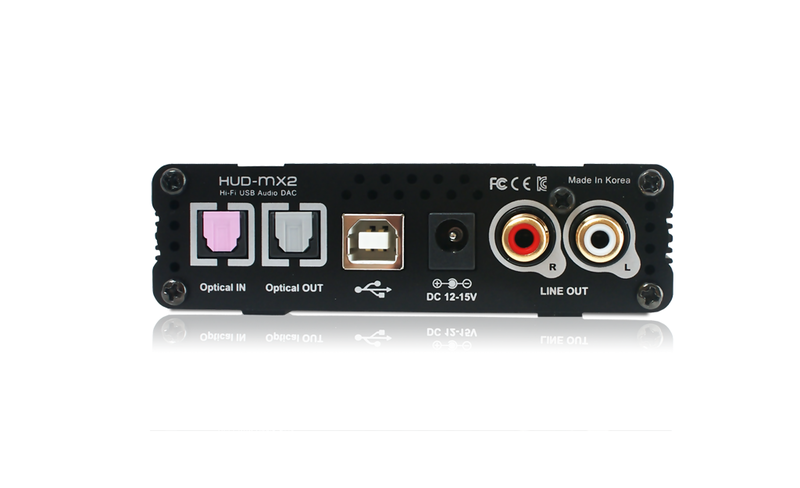 The HUD-mx2 is capable of processing an optical input (24bits/192㎑) and a USB input (24bits/96 ㎑) using only USB bus-power and enables users to enjoy audio playback that offers stronger sound output and higher sound quality by connecting the adaptor provided with the product. 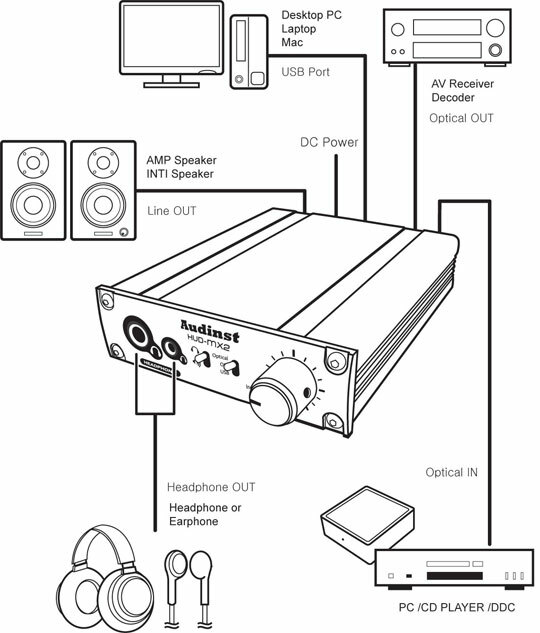 Moreover, users can enjoy audio playback from an iPad (with a camera kit) or a smartphone (with an OTG cable) that supports the new USB audio, etc. by connecting to them. 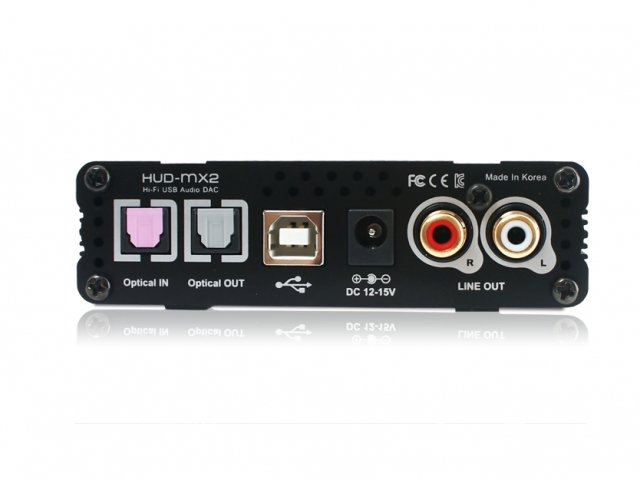 Because it supports automatic power on/off and a power saving mode, the HUD-mx2 maximizes user convenience and power efficiency when using the product in the USB input mode. replacing previously hardened looks often found on the front panel of DAC. and convenient for the users to operate. 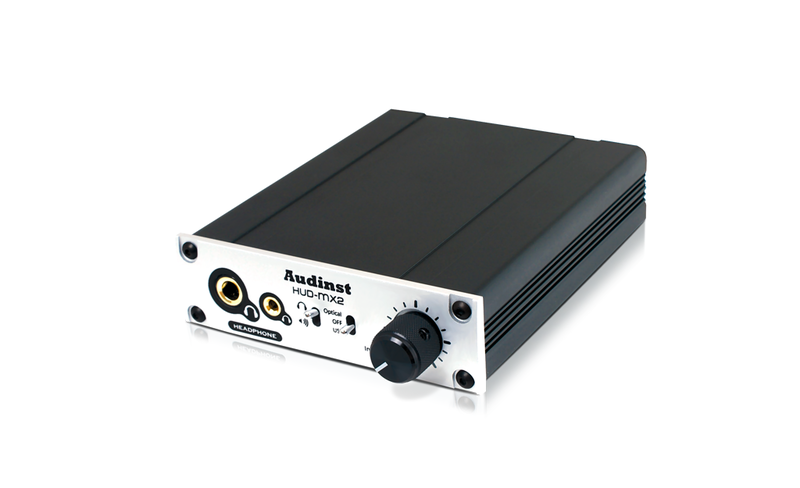 audio quality to CD-quality sound through our advanced technologies. 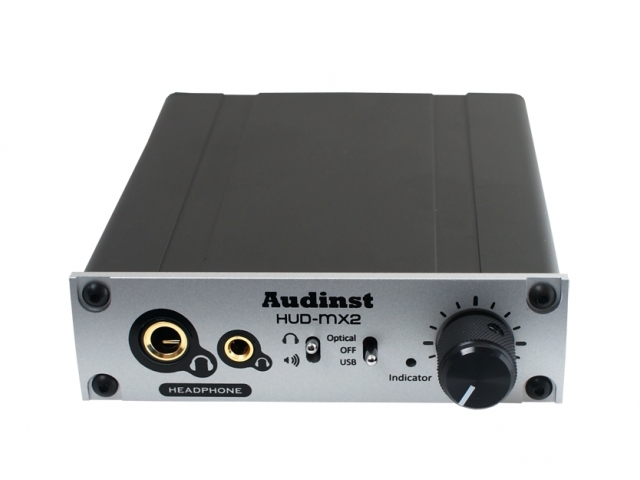 HUD-mx2 presents perfection-like sound quality from DAC no one has ever experienced before, with its unique circuit organization and highest quality components. 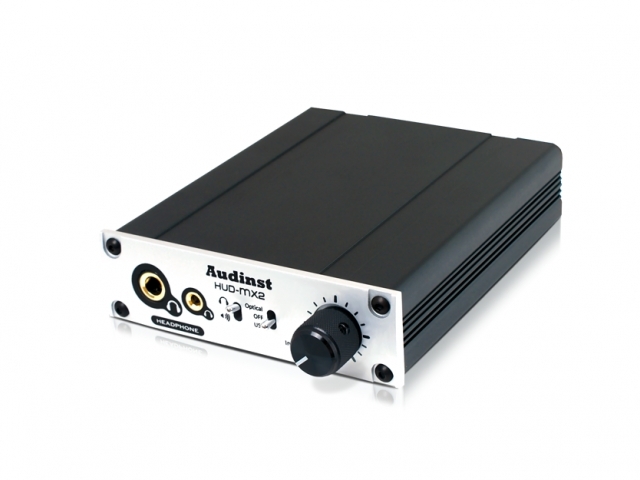 This unit supports both stereo phone jack and stereo mini jack standards without requiring a separate gender converters, while its dual headphone output provides enough driving power to be used with 600Ω headphones, providing clear and high fidelity sound. Adopting the newest Vinyl EnvyUSB 2.0 Audio Controller from VIA, high-quality sounds with a maximum 24bits/96㎑ from a USB input and 24bits/192㎑ from the optical input can be played back with no loss of quality from the sound sources. 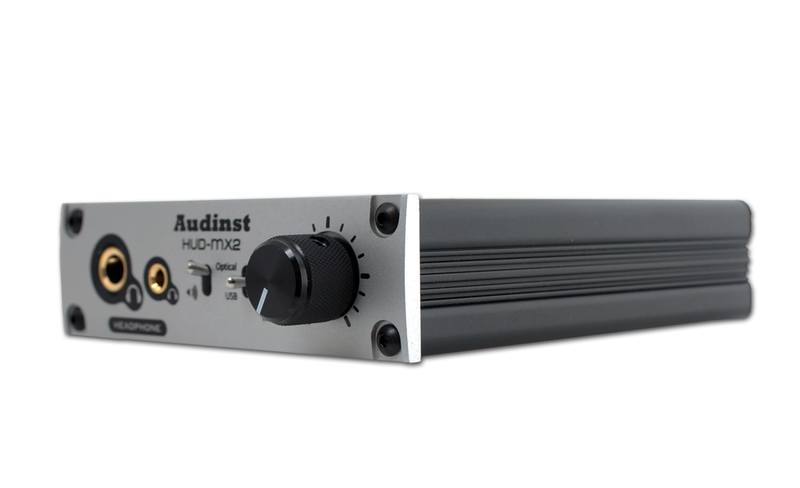 Additionally, with the embedded PCM1796, a high-performance DAC offering a 123㏈ dynamic range from Ti, the HUD-mx2 demonstrates high-resolution sound quality and hi-fi audio quality. 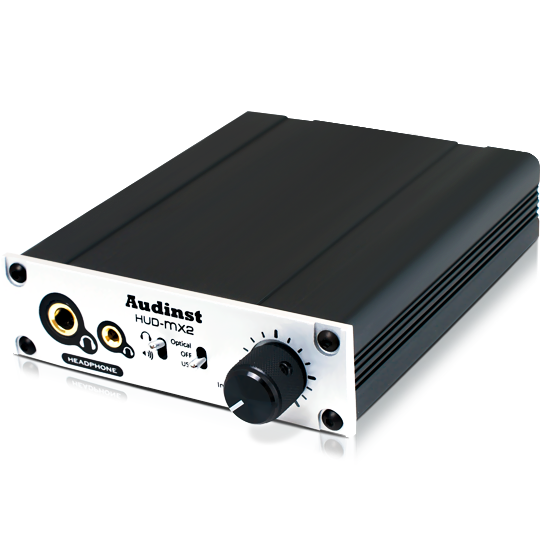 88.2 ㎑ rarely supported on most of USB Audio DAC is supported in native mode. 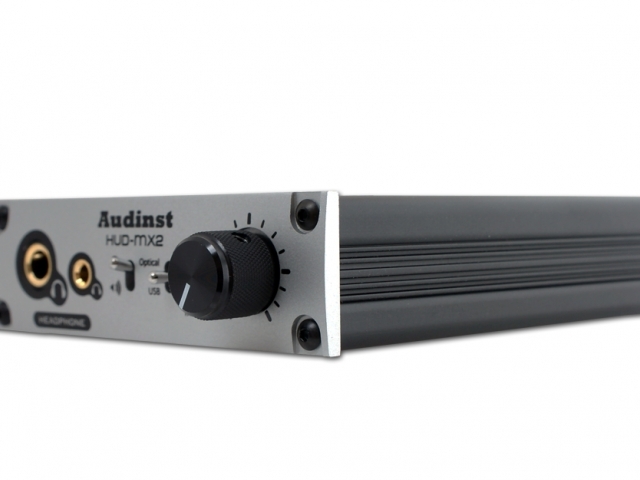 88.2㎑ support enables a multiple up-sampling relative to 44.1㎑, which is an audio CD format. ※ Installation by being downloaded with a separate driver from website enables use of Qsound (Windows XP excepted) and AC3-Passthrough function from windows, and is supported by 24bit/88.2㎑ and the like. 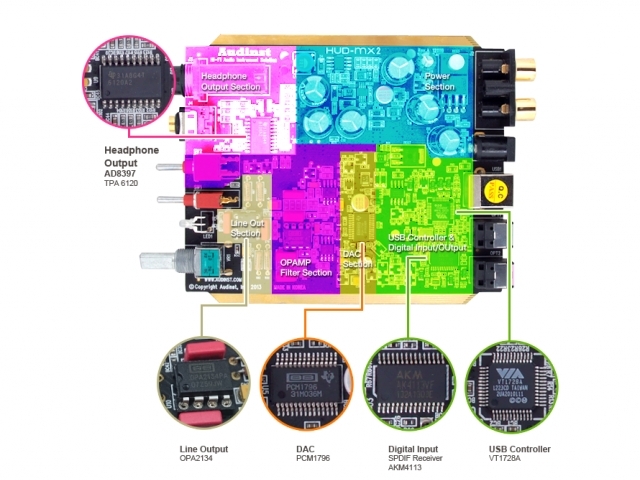 Because the I/V converter and filter circuits are designed into the DAC output terminal, strictly conforming to the standard Ti design and mounting LME49860, a highest grade op-amp from National Semiconductor and OPA2227 and OPA2134 from Ti are placed at the optimum positions to produce the best sound quality, successfully realizing the high-performance and high-fidelity audio sound with the optimum balance and very low sound distortion as well as ultra-low noise. 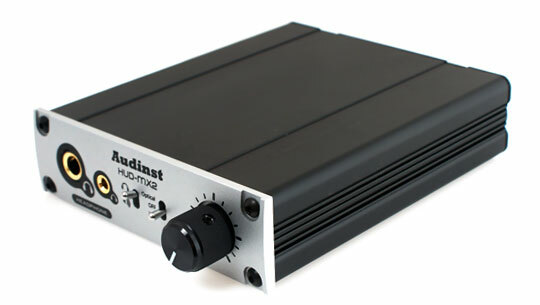 Additionally, the mounting of TPA6120A2, a high-fidelity headphone amplifier from Ti, allows users to use headphones with impedance values under 300Ω when using it in the factory default state and enjoy sounds with enough volume from the headphones with high impedance values of 600Ω after removing the gain jumpers (JP1 and JP2) inside the main body of the product. 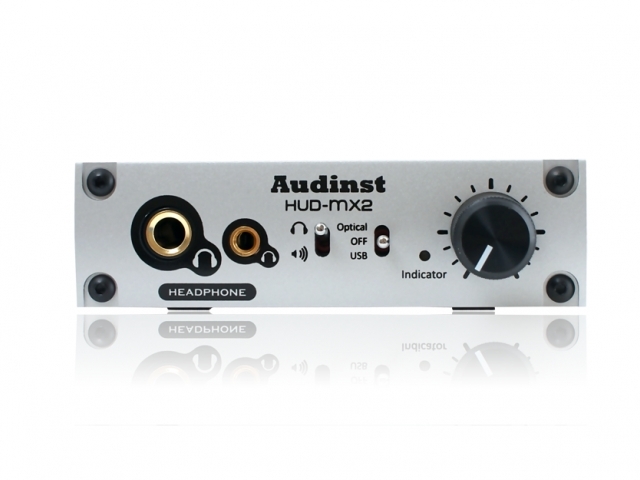 The high-quality audio signals generated through a number of highest level components can be transmitted to a speaker, an earphone or a headphone, providing users with a hi-fi level sound environment. 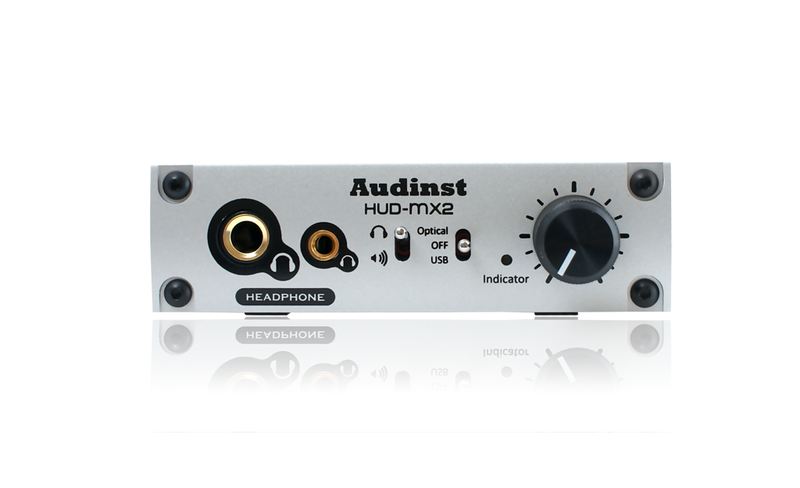 HUD-mx2 incorporated protective circuit system for the speakers & headphones, preventing any potential damages by temporarily cutting-off loud signals entering the speakers & headphones during the playback, when switching Input Toggle & Off Switch. 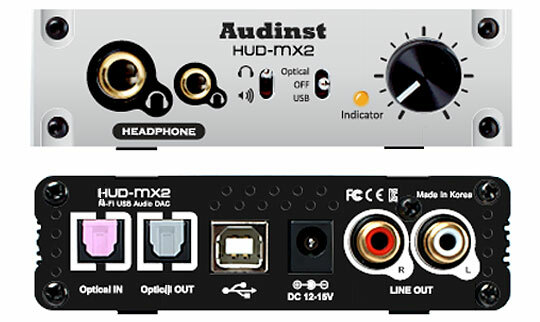 HUD-mx2 also supports the connection with smart devices that support USB Audio. Finally, it also maximizes user convenience and power efficiency as it supports automatic power ON/OFF and power saving mode function when used with USB input. 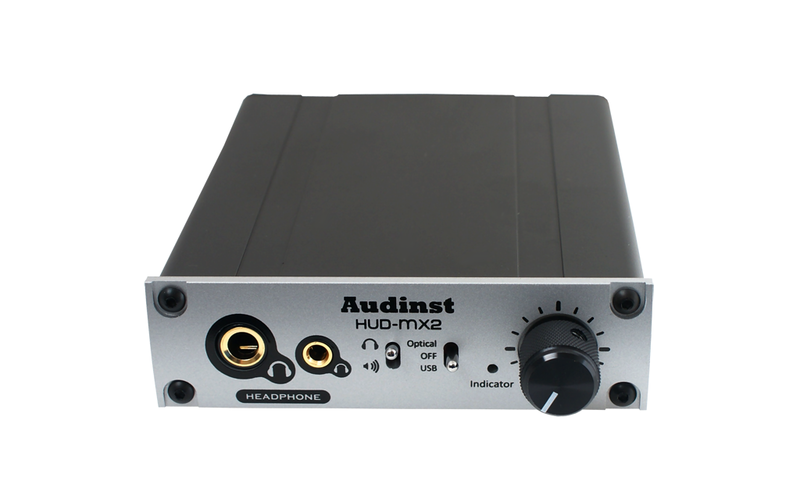 To fully utilize the performance of HUD-mx2’s USB audio, the specification of the system such as desktop PC or laptop has to be at a certain level. The level doesn’t have to be high necessarily but should not be too low. ※ A program/driver installation CD is not included in the product content. The above product content may be changed without notice for enhancing product functions.